Timbertown Resort and Motel has everything you need for a perfect getaway for you and your family. Choose from our executive rooms, motel suites or self contained cabins. There are 14 rooms with varying levels of accessibility - please check at time of booking. We have something to suit your budget, and you'll also find that we are one of the best value for money holiday resorts on the Mid North Coast in NSW. There are 3 rooms styles: Verandah Rooms - that open directly onto our covered walk way and have parking right at your front door in most locations. Executive Rooms - modern fresh & large in a variety of configurations from queen to king and family configurations. 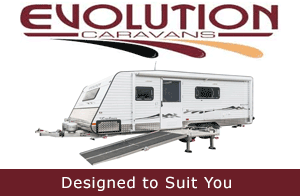 Self Contained Cabins - individual cabins with separate bedrooms, kitchenettes and bathrooms. All rooms have air-conditioning, flat screened televisions, fresh linen, wifi access, tea and coffee making facilities, and some rooms even have a spa. Facilities include a tennis court, swimming pool, and outdoor seating. Please feel free to make an online booking, or contact us for more information. Guests rooms have varying levels of accessibility - please check at time of booking to be sure the room allocated to you meets your needs. Ratings on "Timbertown Resort & Motel & Montana's on High"